When most teachers hear or read about Google Maps, Google Earth, ESRI, and other digital mapping tools they tend to think about social studies topics. While digital mapping tools are perfectly suited to social studies lessons, they can also be used in other subject areas including math, language arts, and science. 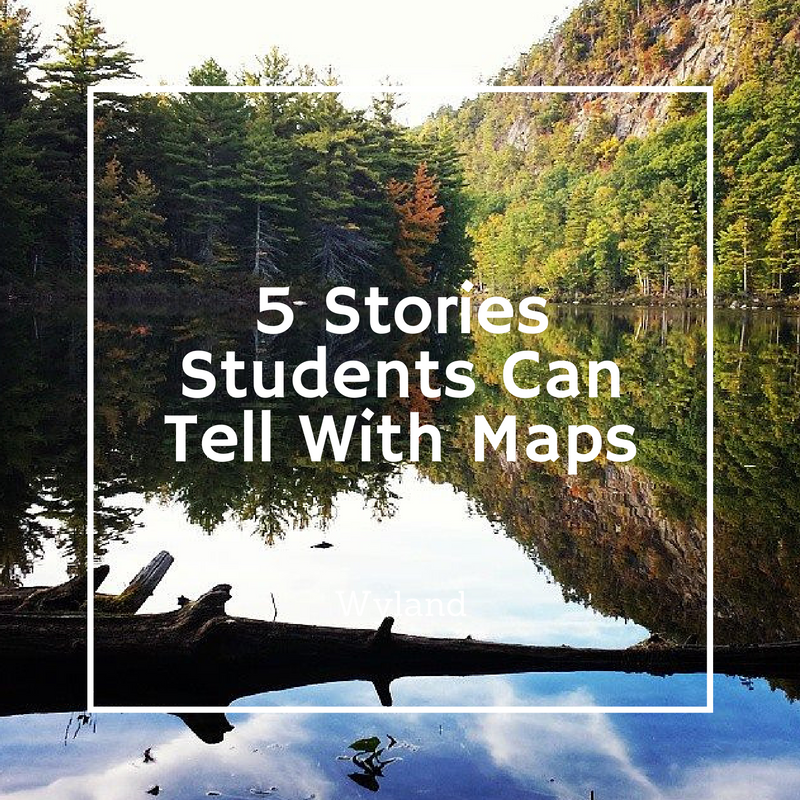 Here are five types of stories that students can tell with digital mapping tools. Ask students to add placemarks to maps to represent some of their favorite personal moments. Students could create placemarks about their summer vacations, a favorite field trip, or just a set of happy memories connected to locations. Including images and videos to their placemarks will add additional illustrative aspects to their stories. A map is a great backdrop for telling the life story of a famous person living or dead. Students can create map placemarks for the important events in a person's life. For example, they could map the life of Theodore Roosevelt and include in their placemarks the places he visited before, during, and after his presidency. Ask students to include explanations of why the events they mapped were important. As an alternative to a traditional book report, ask students to map the highlights of books they have read. This can be done with fiction and non-fiction books. If the book they've read is set in a fantasy world, ask them to draw the map as they envisioned it while reading. Google's My Maps and Google Earth allow users to create maps containing multiple layers. Have students create one layer using imagery of a place captured 30-100 years ago. Then ask them to create a layer using current imagery. This is a great way for students to see the effects of erosion on a landscape. It's also a great way to see how a cityscape has changed over time. 5. Correlations between data sets. This is the most challenging of the five stories for students to map. They will need to create multiple map layers to illustrate a correlation between two or more data sets. For example, students could attempt to show a correlation between droughts and animal migrations. You can learn more about these ideas in Teaching History With Technology or learn about mapping tools by browsing through my YouTube channel.